This ad is from 1926 when Heinz was celebrating it's 57th anniversary. The message is that Heinz spends time and money to select the best ingredients for it's products including apparently a supply of pith helmets for Indian safari's. The real question I ask is where did it all go wrong? 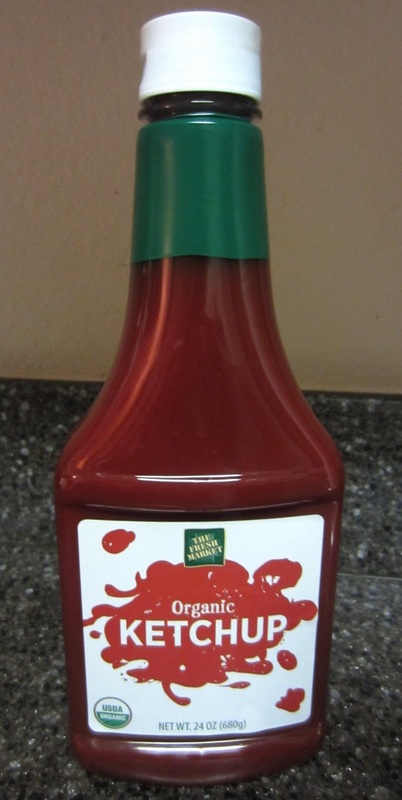 I remember when I was a kid and Heinz was the benchmark ketchup, heck it was the only ketchup, everything else being "catsup" because ketchup was allegedly a patented name owned by Heinz. Back then the ketchup really tasted like rich tomatoes with a balancing sweetness. Today though the company has sold out to the heathen gods of profit and cheapened the ingredients. While I could not get a definitive answer on whether they used GMO tomatoes I know for certain they use High Fructose Corn syrup which is 100% from GMO corn. The taste has of course suffered and now Heinz ketchup is has just a shadowy tomato flavor that is all but dominated with sweetness and the HFCS aftertaste. To think Heinz was chosen by Bon Appetit magazine for their seal of approval as best tasting ketchup. I won't hold it against them... too much. I guess the taste testers at Bon Appetit never tasted a good organic ketchup. I buy the Fresh Market brand because A) It's priced better than "name brand" organic ketchup and B) it just tastes fantabulous. Here is the true tomato flavor from my youth and it's complimented by the sweetness of organic sugar not dominated by it.